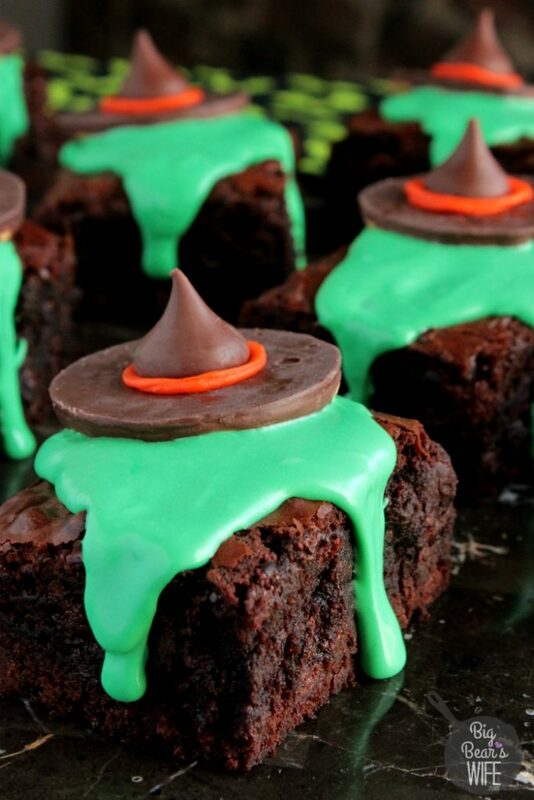 Perfect for my favorite Melting Witch Hot Chocolate or the ever so popular Melting Witch Brownies, these Witch Hat Cookies are so easy to make! Looking for some Halloween treats? 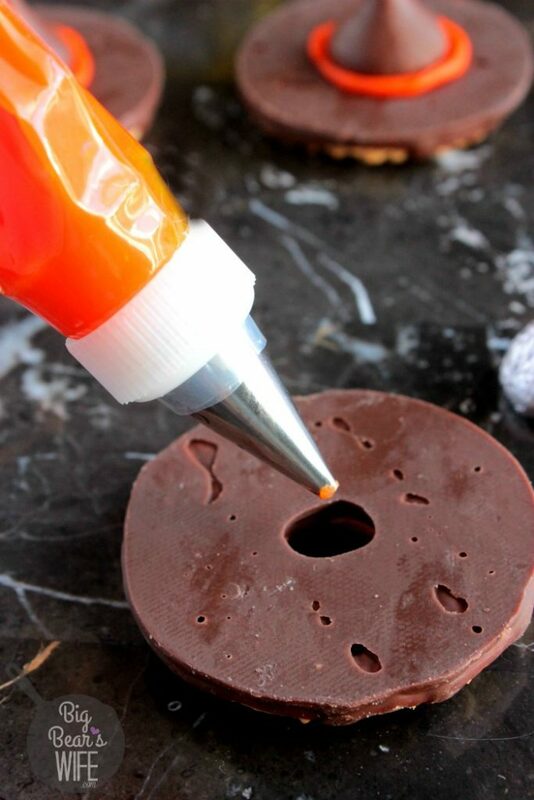 Maybe you’re going to a Halloween party this year and you’re looking for that perfect little treat or dessert to take with you, well have no fear! I’ve got you covered! Now I know you saw these earlier on the blog when I made the Melting Witch Hot Chocolate and those awesome Melting Witch Brownies, but I wanted to do a little post just for the Witch Hat Cookies. I just wanted to show y’all how easy they really are to make and I wanted to point out that you don’t HAVE to pair these with another dessert. They’re just adorable and perfect for Halloween on their own. 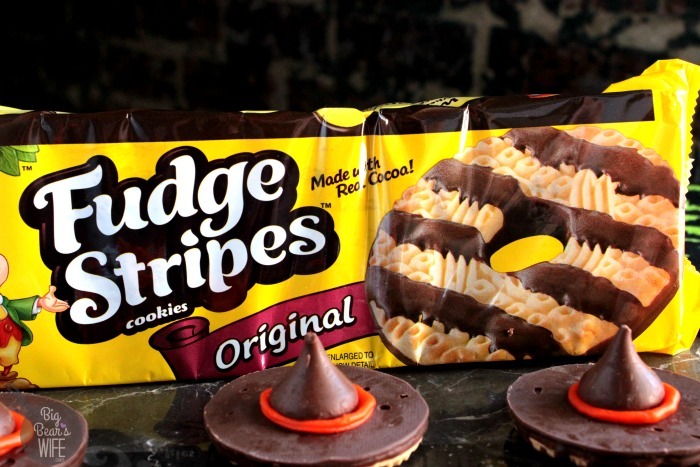 So you can really use any type of Chocolate cookie for these Witch Hats but I’m using these Flip Fudge Stripe cookies. I remember making these little cookies in a mini size back in 2011 when I worked on these adorable Melting Witch Cupcakes. For those Melting Witch Cupcakes I made mini witch cookies with the snack pack fudge stripes and chocolate chips! These are just a bigger version! I can’t remember if I first saw these at a party or on the internet, actually, it might have been at a Stampin Up Party where they were making little treat bags. Either way, They’re awesome for any melting witch dessert that you’re going to make! They’re perfect for topping the Melting Witch Hot Chocolate that on my blog and they’re great for my favorite Melting Witch Brownies. 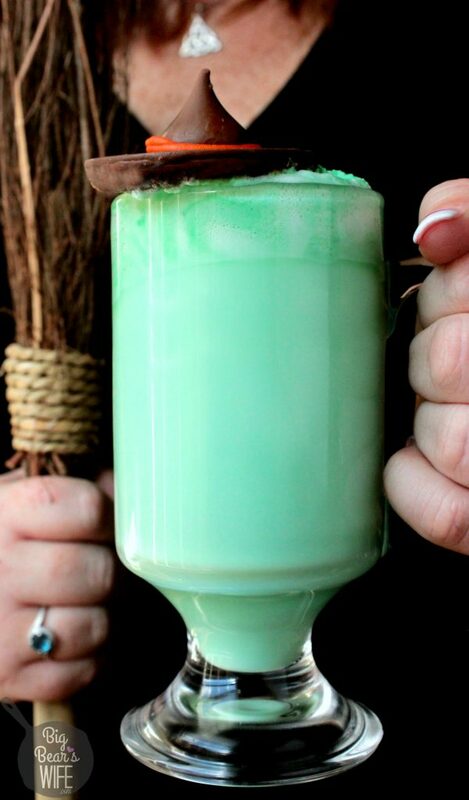 Or you know, they’re awesome just dunked into a glass of ice cold milk. 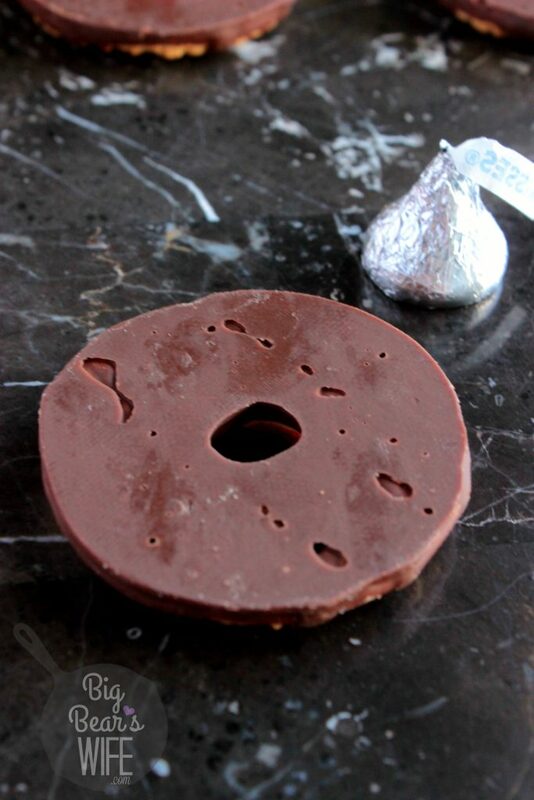 To start, flip the cookie over to the chocolate side. 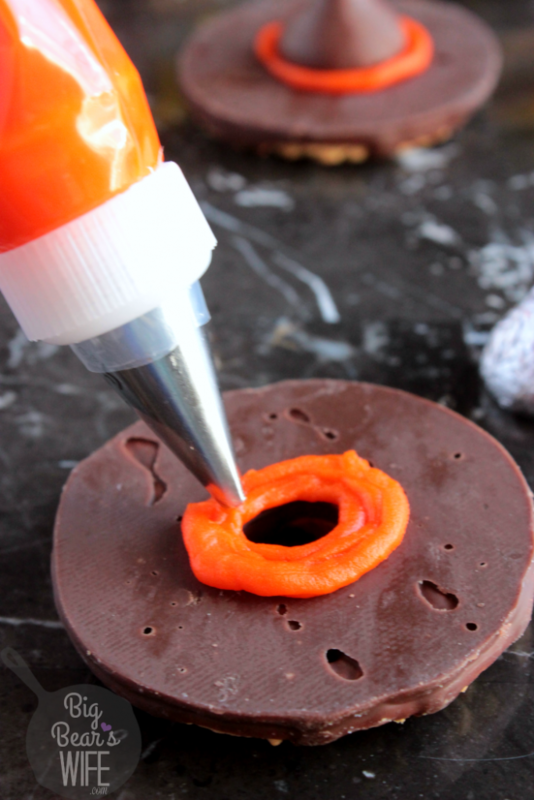 Then, pipe an orange icing circle around the center of the cookie. 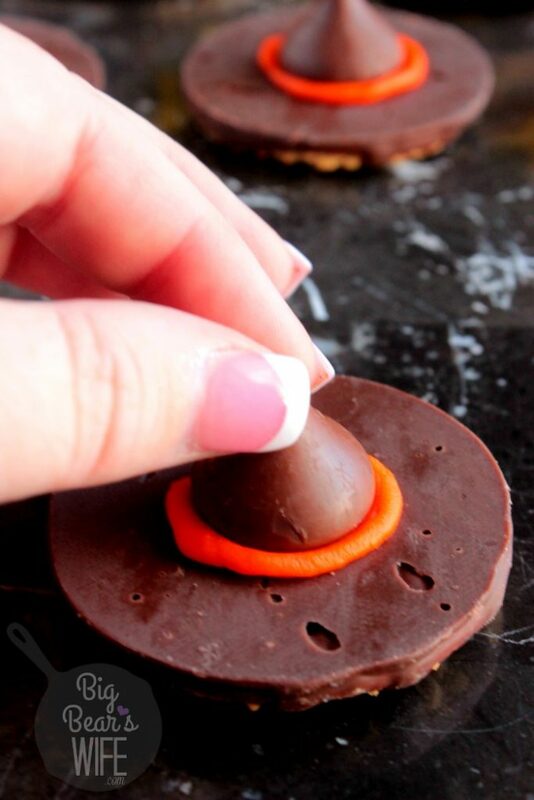 Press an unwrapped chocolate kiss candy into the middle of the orange icing. 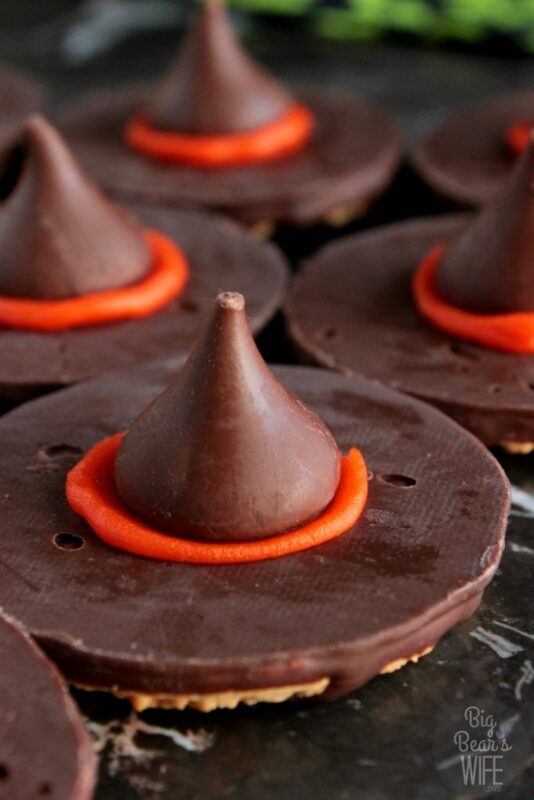 Then use these little chocolate Witch Hat Cookies to top your favorite melting witch Halloween desserts! 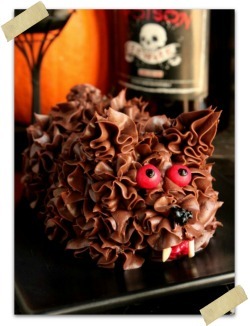 Or you can just set these out on a cake stand at your next Halloween Party! They’re a cute little Halloween dessert all on their own! Happy Haunting! 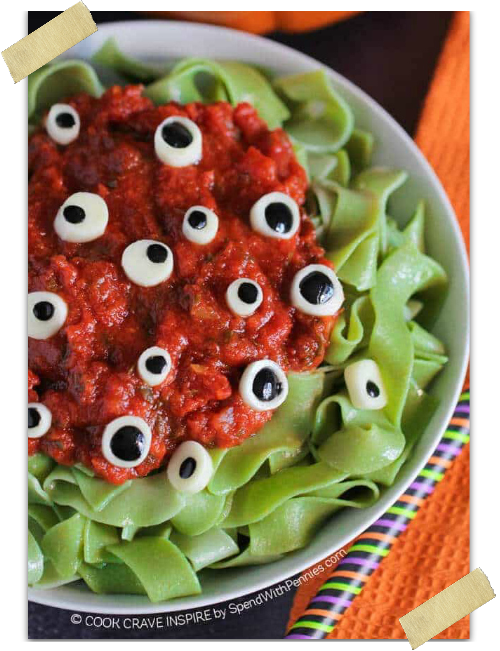 Check out all of the spooky Halloween recipes and crafts on BigBearsWife.com!! 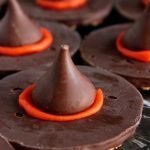 These Witch Hat Cookies are great for any melting witch themed dessert you're looking to make and they're perfect all on their own! 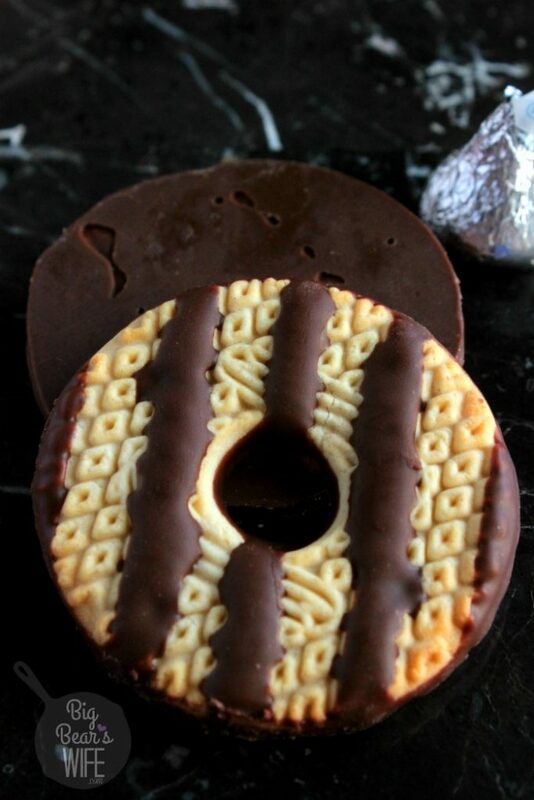 To start, flip the cookie over to chocolate side. 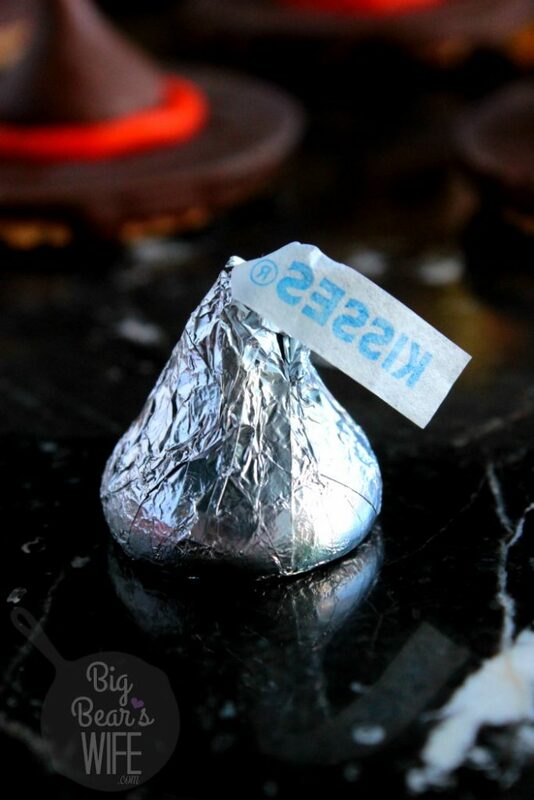 Or you can just set these out on a cake stand at your next Halloween Party! They\\\'re a cute little Halloween dessert all on their own! Disclosure: The links below are affiliate links, which means I may receive a commission if you click one and purchase something that I have recommended. While clicking these links won’t cost you any extra money, they will help me keep this blog up and running. 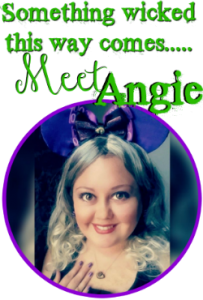 Angie runs this blog, “Southern Halloween Queen” where she shares her love of Halloween with her own recipes and fun recipes/projects from other Halloween loving bloggers! She also runs her first blog, BigBearsWife.com that’s packed full of Southern recipes, her love of Disney and fun vacation ideas! 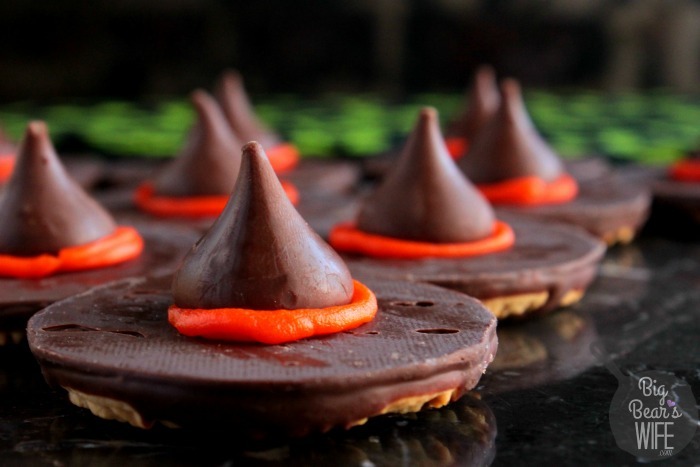 These recipes are perfect with these Witch Hat Cookies! 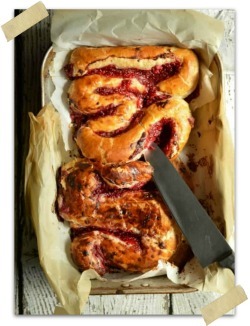 recipes and decorations from some of my favorite bloggers! 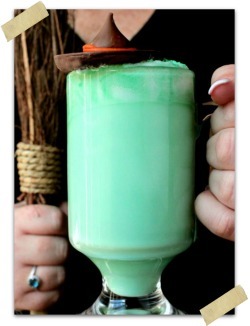 It’s Just A Bunch of Hocus Pocus, What are you looking for?